Lots of Telo exploration with our recent guest group of internationals. Let’s meet ‘em quickly before we tell ya about the surf. Roger Livingston from Utah. Grew up surfing in Huntington beach, solid fella with a smooth style who throws a lot of spray around. 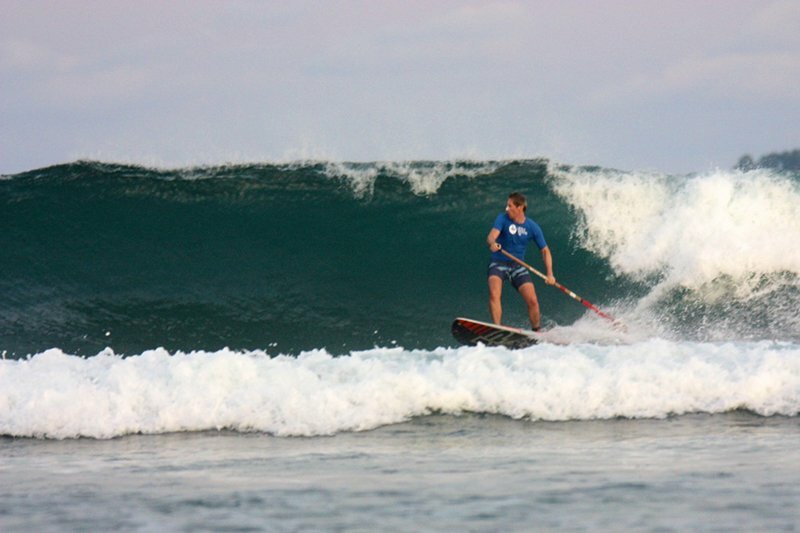 Jan-Paul Kobarg – SUP guy from Germany now living in Oz. 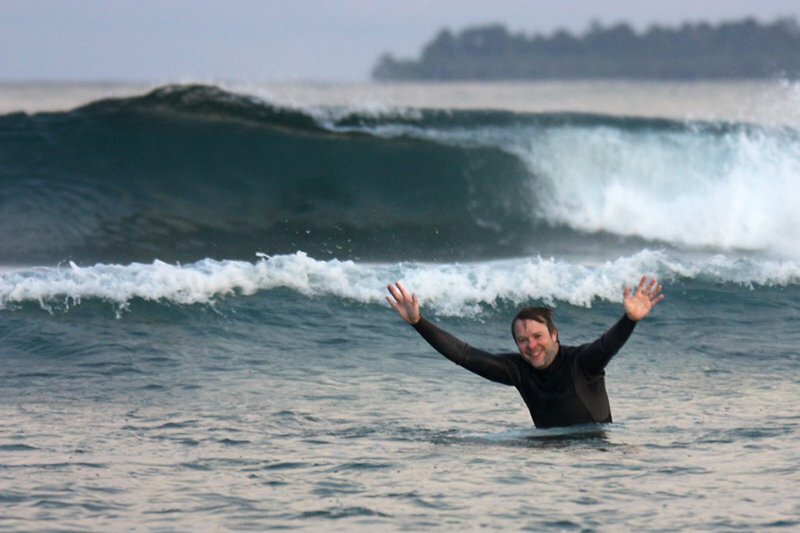 Very determined, puts in loads of hours in the water, consistently gets smoked and does tours of the reef. He’ll be back next year with his mates and we’ll be stoked to host him! Jean-Phillipe Gaillard. An all-rounder. Into extreme sports, as well as windsurfing, sailing, hunting crocs in the outback. For a fellow of French heritage, JP rocks a solid ozzie accent! Bernie Kaplan. Distinguished himself as the first guest to do all three Pegasus Lodges in the Telos. Started off at Pinnacles on Telo, then headed down to Monkeys South Telo, and finished here at Telo Island Lodge. And he made every moment count. The trip started off with some really great Max’s left, followed up by solid Pinnacles. Jan (SUP fella) got nailed and ended up doing a tour of the reef on the inside. When most people would have called it quits, he came back to the boat, grabbed a Porcari Sweat* and was straight back out there. 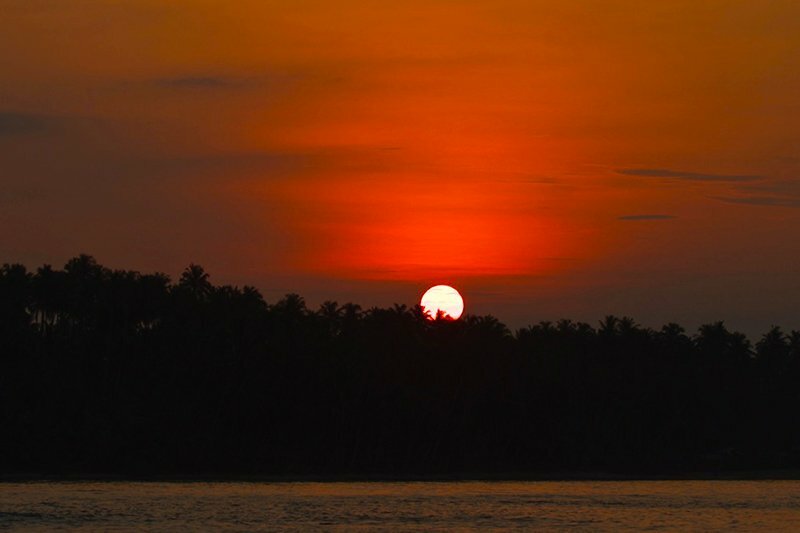 With a fading swell on our hands we headed south, spending two nights at the new Monkeys South Telo. Super rippable waves for two days straight. The consensus by all was that Monkeys South Telo is sick!!! On returning to the Lodge we scored solid Schoolyards all to ourselves before a storm forced a layday, after which Max’s Right came to the party for some long sessions. The final day saw the boys going crazy. Bernie got four sessions in: early morning Left, followed by solid Pinnies, then straight out the front at The Right. A late arvo fish turned into another sunset surf at the Left. The rest of the boys managed similar solid efforts, surfing both Pinnies and out the front. All in all, lots of adventures and new experiences for the crew, and no shortage of hours racked up in the water. Thanks for coming guys! Ping an email to [email protected] and get your arse over here! *Porcari Sweat: Indo electrolyte drink with mysterious and magical powers.